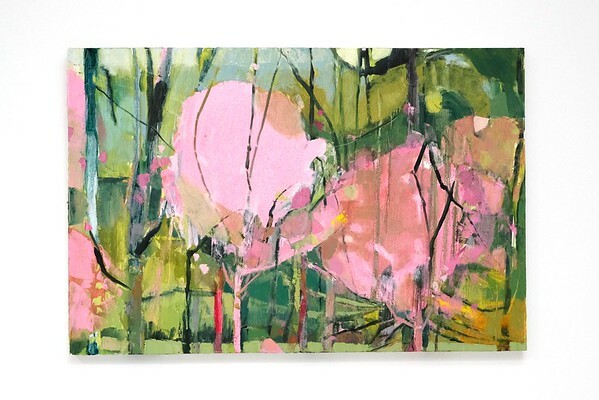 Cynthia Wick's "pink trees," oil on canvas, is one of the twenty-three paintings in her show, "into the woods." Lenox, Mass. June 28, 2017.